Lord Bhairav is considered to be the incarnation of Lord Shiva. 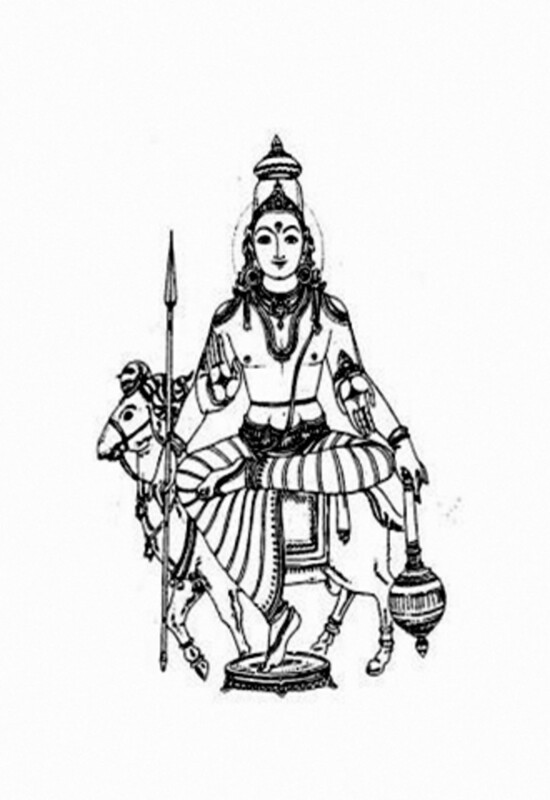 Kalabhairava is the Lord of the March of Time. 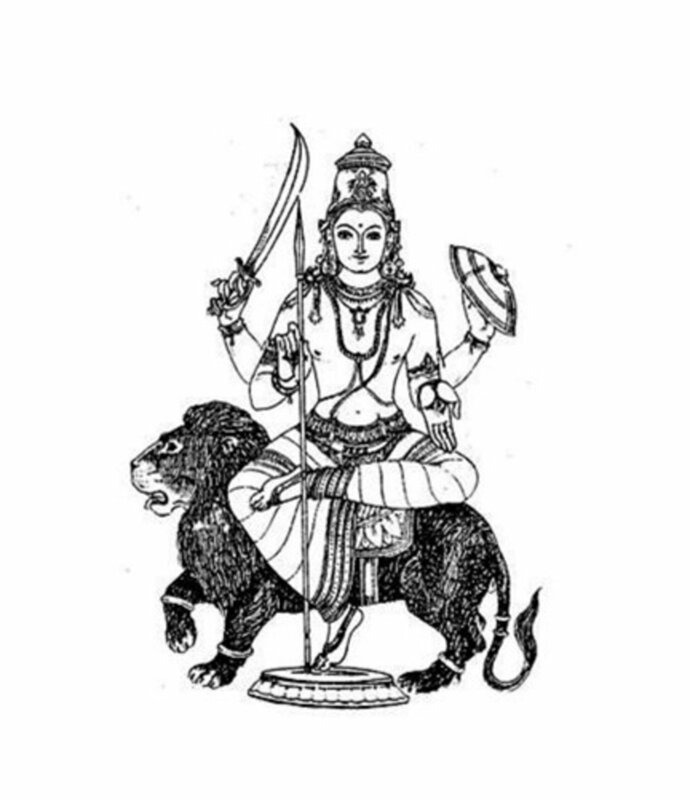 The Sanskrit meaning of the word ‘Bhairava’ is ‘Terrible’ or ‘Frightful’. Kaal Bhairav Ashtakam composed by Shri Adi Shankaracharya is devoted to in Kaal Bhairav. Bhairav is a fierce form of Lord Shiva. There are several legends about the origin of Bhairav out of which the most popular one involves the Trinity in Hindu Religion as described in Shiv MahaPurana. The story is that when Brahma who was originally endowed with five heads started displaying his arrogance as the supreme creator of the Universe, Lord Shiva assumed the form of Bhairava and cut off one of the five heads of Brahma. Bhairav is worshiped by Hindus and Buddhists alike. Bhairav is also referred to as Bhairo or Bhairon or Bhairadya. His vehicle is dog and he wears ornaments of snakes. He wears a tiger skin and a ritual apron composed of human bones. He also carries the amputated head of Lord Brahma. It is believed that worshiping Kalabhairava would solve most of the problems which are pending for a long time. Those who wish to improve their time management skills also may worship him. Persons having malefic planets in the birth lagna (time) or n transit is effective to reduce their negative effects. According to Indian Astrology, worshiping Bhairav is helpful for those suffering from the malefic effects of Rahu in the horoscope. Bhairav is also a friend of Shani. Lord Bhairav, also like the Goddess Kali is worshiped by Yogis and Tantriks to gain Siddhis. There's a shrine for Lord Kaala Bhairava in most Siva temples. He is a very easy to please and can be worshiped by offering Coconut, Flowers, Sindoor, Mustard oil, black til etc. Feeding and taking care of dogs is another way of showing our devotion to Lord Kaala Bhairava. 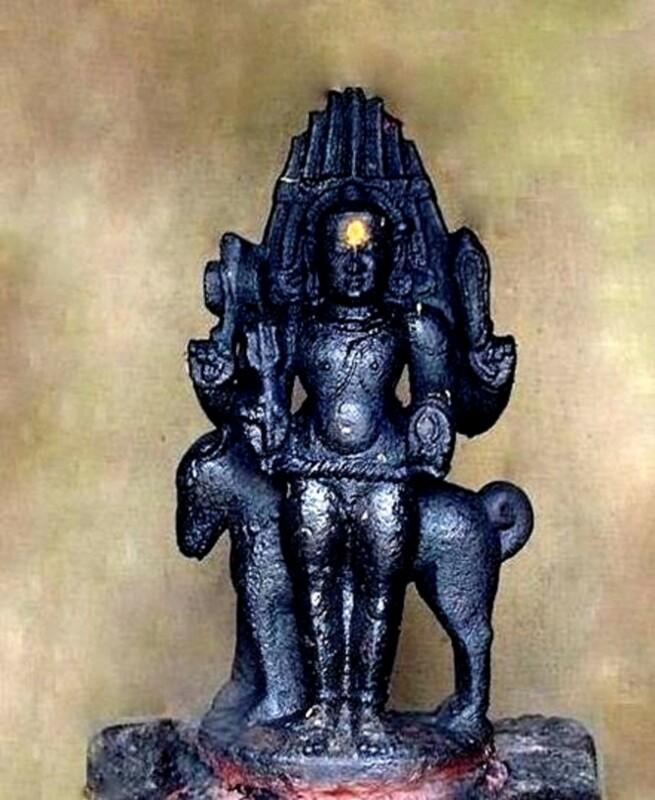 Bhairava himself has eight manifestations, Kala Bhairava, Asitanga Bhairava, Samhara Bhairava, Ruru Bhairava, Krodha Bhairava, Kapala Bhairava, Rudra Bhirava and Unmatta Bhairava. Given below are the Mantras of Lord Bhairav. Given below are the Mantras of Lord Bhairava.
" Hrim vatukaya apadudharanaya kuru kuru batukaya hrim." Om Kaalakaalaaya Vidhmahey Kaalaatheethaaya dheemahi Thanno Kaala Bhairava Prachodhayaath. Can any races get the benefit once pray towads kalabhairav.and can our desire wish comes truth. Does anyone know if reciting the batuk bhairav mantra can have ill effects on oneself? can this be chanted by anyone, even non-hindus? im from Ap in my town we have the temple of bhirava its was 2nd bigest templein india 1st was kasi, in our village bhirava temple its no proof of the god but the god almost 10 feet above , its my ''''id '' kiran_chiluka1985@yahoo.com, if u want to see the god photo ill send u . Thanks a lot for information on Shri Kaal Bhairava and the beautiful video. I loved the way "ashtakam" is sung. Please let me know where i can get MP3. You can Recite Kaal Bhairav Mantras on any time. As he is considered to be the protective God for 8 Prahar of Day & 8 Prahar of Night. Still Worshipping Kaal Bhairav Early Morning Before Sunrise & Late Mid Night is more preferable. Om Kaal Bhairavaay Namaha - 108 times Daily. Hi Hi ,,,,,,,, Would be great to learn the Meditative Recitations Of Lord Kalai Bhairava ,,,,,, And The Time To recite The Mantras And Tha Number Of Times . Om Kaalakaalaaya Vidhmahey Kaalaatheethaaya dheemahi Tanno Kaala Bhairava Prachodhayaat.
" Om Hrim bam batukaaya aapad udhaaranaaya kuru kuru batukaaya hrim Om." Don't add Beej Mantras for this ksetrapaal Mantras. As some incompleteness is sensed from it. So simply this mantra can work. If Kaal Bhairavaashtak is recited 365 times. Then one gets released from Kaal-Sarpa Dosha. His Kaal Sarpa Dosha gets vanished, as said by God Kaal Bhairav himself. Thanks for sharing! All the best. @ranjan I am sorry I do not have the MP3 download link. Please kindly ans in this comment if possible to the questions that we ask if any one kindly know the ans as this will help people like us to ask the same question again and again. I also want to down load the song but not able to kindly ans. i want to download the song yam yam yam yaksha roopam, where can i find it??? I want to learn kalabhairava tantra and mantra, because he is only the god for immediate give power and solved the problems etc. I strongly believe it. Kalabhairava Astakam video is in this hub itself.